IMPORTANT: Please read the following and the Terms and Conditions of Use before accessing and using this Site. Thank you for visiting www.cottongds.com We hope that you will find this website ("Site") helpful and informative. 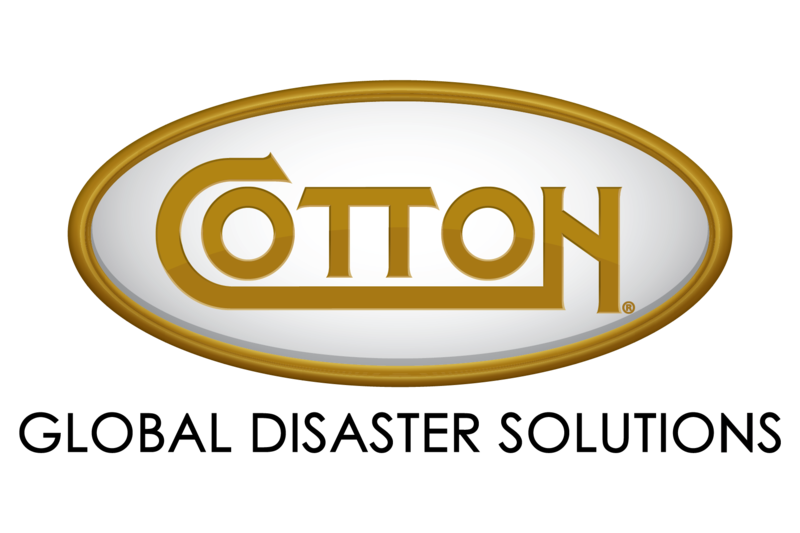 Cotton Holdings, Inc. and its direct and indirect subsidiaries (“Cotton”) is committed to respecting the privacy of all persons using this website ("Site"), and the protection of any personal information which we may collect and which you may choose to share with us. Such personal information will be used in accordance with the disclosures in this Privacy Statement, which is part of and incorporated into the Terms and Conditions of Use of this Site. Exclusive Disclosures Pertaining to Use of Personal Information. Please note that this Privacy Statement pertains exclusively to information which you provide to us in the course of your use and access of the Site, and does not alter or affect the terms and conditions of any other agreement that you may have or enter into with any Cotton entity for any given product or service. The latter agreement will continue to govern that specific legal relationship with Cotton. Your Express Consent to Collection and Use of Information. If you do not agree with any disclosure in this Privacy Statement, or have any questions, please do not access the Site, contact us directly at webmaster@cottonholdings.com, and we will be pleased to assist you. BY CHOOSING TO PROCEED AND ACCESS THE SITE, YOU ARE INDICATING YOUR EXPRESS CONSENT AND AGREEMENT TO THE COLLECTION, TRANSFER, HANDLING, PROCESSING, USE AND STORAGE IN ACCORDANCE WITH THIS PRIVACY STATEMENT OF ANY PERSONAL INFORMATION WHICH MAY BE OBTAINED FROM YOU DURING YOUR VISIT TO OUR SITE, ANY OF WHICH MAY OCCUR BOTH INSIDE AND OUTSIDE THE UNITED STATES OR THE EUROPEAN UNION IN JURISDICTIONS WHERE LEGAL PROTECTIONS MAY BE LESS STRINGENT. You grant Cotton, its affiliates, and third party providers a non-exclusive, worldwide, royalty-free perpetual license to use your personal information for the purposes disclosed herein. How We May Obtain Your Personal Information. Through your use of this Site, we may obtain various types of information (such as your name and contact information) from you that (1) you may directly provide to us (by inputting information through various interactive features, filling out registrations, submitting inquiries, placing orders, etc.) or (2) that we will automatically collect during your visit to the site (such as your internet domain or IP address) as part of our normal operation. How We Will Use Your Information. Your personal information will be stored in our systems for our internal use only. We will use such information to provide you with the requested information, goods, services or materials, for internal research, for marketing and data analysis, to send you updates and news concerning Cotton and its business partners, and to better assist you with any future requirements. It is our policy not to disclose, sell or market your personal information to any unaffiliated third party without your prior permission. We may transfer or disclose your information, however, to our affiliates, divisions, employees, partners, contractors and suppliers, subject to use only as set forth herein. In any such situation, PLEASE NOTE THAT YOUR INFORMATION WILL NOT BE CONSIDERED SUBJECT TO ANY OBLIGATION OF CONFIDENTIALITY. You agree that any ideas, material, or content submitted on or through this Site becomes the sole property of Cotton, and Cotton has no obligation of confidentiality nor are we responsible for any claims of infringement or misappropriation that may result from any submission. We may disclose your information to any person, specifically to any governmental agency, without notice, if we in good faith believe that such is required in order to comply with law, to protect Cotton interests including this Site, and in response to any emergency situation. How You May Review and Correct Your Collected Personal Information. You may contact us at webmaster@cottonholdings.com, request to review your personal information, if any, which we may have collected, and request that your personal information be corrected, supplemented, or permanently deleted from our systems. Changes to Privacy Statement. Cotton reserves the right to change, modify, or update this statement at any time without notice. We indicate the date of the current statement below, so you know when it was last updated. Protection of Your Personal Information. We strive to undertake appropriate and reasonable measures to safeguard your information. Due to the many technical uncertainties, however, complete security of Internet transmissions cannot be guaranteed. Therefore, you understand and agree that Cotton is unable to provide any warranty, guarantee or representation concerning the protection of your information or concerning the existence or effectiveness of any security measures undertaken. Cotton will not be liable for any claims, losses, or damages which may result from access by an unauthorized third party, or the introduction of viruses, worms, or other harmful elements into the system and their possible effects on personal information contained on the Site. Children. Cotton takes children's privacy seriously. Cotton asks children under the age of 13 not to send any personally identifiable information to Cotton web sites without the consent of their parents or guardians. Cotton encourages all parents and guardians to instruct their children in the safe and responsible use of personal information on the Internet. Cotton will not knowingly collect, use, or disclose to third parties any personal information collected from children, and we are committed to complying with applicable laws and requirements, such as the United States' Children's Online Privacy Protection Act (COPPA). Linked Web sites. We may provide links to third party sites. Since Cotton does not control these web sites, we encourage you to review the privacy statement posted on these (and all) third party sites. Cotton is not responsible for the privacy statements or practices of sites and services controlled by other companies or organizations. Limitation of Liability. IN NO EVENT WILL COTTON, ITS AFFILIATES AND DIVISIONS, AND THEIR RESPECTIVE EMPLOYEES, OFFICERS, DIRECTORS, CONTRACTORS, SUPPLIERS, VENDORS, INSURERS AND AGENTS, BE LIABLE TO YOU OR TO ANY OTHER PERSON FOR ANY COSTS, DAMAGES (INCLUDING ANY SPECIAL, INCIDENTAL, EXEMPLARY, INDIRECT OR CONSEQUENTIAL DAMAGES), OR LIABILITY OF ANY NATURE, ARISING FROM ANY CAUSE, RESULTING FROM THE COLLECTION, USE, TRANSFER, PROCESSING, HANDLING, CONTENT, OR STORAGE OF PERSONAL INFORMATION OBTAINED OR SUBMITTED BY YOU RESULTING FROM YOUR ACCESS AND USE OF THIS SITE. If you have any questions or comments about this Privacy Statement or the use of your information, please contact us by contacting us at webmaster@cottonholdings.com.